Mother’s Day is right around the corner, so I thought I’d dedicate a beauty story to my favourite lady. I should start off by explaining my mom’s beauty philosophy: Less is more (a typical mom thing to say). Yeah, there’s not much to it. But growing up in an Asian household with my mom as the King (yes, the king not the queen) of the family, this less-is-more philosophy caused a lot of arguments. You see, for the longest time in grade school, I was the only Asian girl in my classes; but not like the typical Asian girl you saw on TV. No. I had tan skin, a flat nose, and big, frizzy curly hair. So it was really hard for me to feel beautiful, and because of this, I was SUPER experimental with my looks. Breaking all of my mom’s rules (and the law), I’d buy and steal the prettiest palettes, eyeliners and powders to try to hide my features and complexion. By the age of fourteen, before I even knew contouring was a thing, I had that down, plucked all my eyebrows off and saved enough of my allowance to relax my hair twice. While all this was happening, my mom was very vocal about her opinion of my looks. She definitely wasn’t too afraid to hurt my feelings to tell me I looked like a fool (which I did, BTW). While she was judging me, I couldn’t help but judge her beauty looks and products. I remember lying down on her bed every Saturday morning and watching her get ready for work. After showering, she’d apply mousse to her damp hair and while her hair was air-drying, she’d move on to her face. Instead of makeup, she’d gravitate to the same old ugly brown bottles of “whatever” and pat the products into her skin. “You should wear foundation or something,” I’d suggest. “Sha, sha, sha,” she’d always say, and in pissed off Filipino-mom terms, that means ‘Shut up, you don’t know what you’re talking about.’ She’d then spot-apply pressed powder between her brows and forehead and complete the look with reddish brown lipstick. I remember telling myself, “I’ll never leave the house looking like that.” More makeup was never enough for me. Thinking back on it now, I find it really funny because these days, I actually look forward to the days that require very little to no makeup. After testing out so many different looks and trying every possible makeup technique and hair treatment, I became exhausted by always trying to change my appearance. I recently dyed my hair back to black and removed my non-traditional ear piercings. My mom was thrilled! I now think I look best when I’m looking like my natural self. Instead of foundation, you can find me wearing tinted moisturizer (and if you listen closely, you can hear my mom saying, “I told you so.”). So yeah, I guess she was right, less is more. But as much as I’d like to say my mom inspired my beauty philosophy, she didn’t. I’m taking all the credit here because since becoming a beauty writer, I’ve become a real skincare pro. So pro in fact, that she’s now taking beauty advice from me. Instead of judging my beauty looks and products, my mom and I fight over the beauty products that come across my desk. I’d never thought she’d ever approve of any of my products, or that I’d become skincare crazy, but here we are sharing them. So in the spirit of Mother’s Day, I’m sharing the beauty products we can both agree on — and obsess over. This was one of the ugly brown bottles I was referring to. My mom has been using Estée Lauder skincare for as long as I can remember. 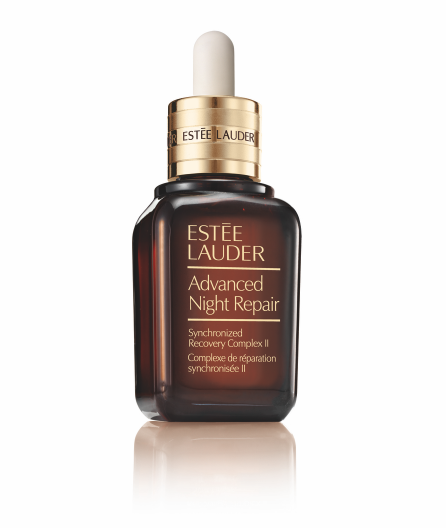 We both go crazy for Estée Lauder Advanced Night Repair. She uses it every night to fight fine lines and wrinkles, while I only using it after a long night of Netflix binging. If you know me, you know I’m not the biggest fan of applying anything onto my lips if it isn’t lip balm. But I always carry lipstick in my purse for when it’s necessary or when I’m feeling extra glowy. My mom is the same. Her go-to lipstick? Clinique Different Lipstick, because it’s super comfortable. My mom loves going to the hair salon. She likes to get her hair coloured every eight weeks or so. 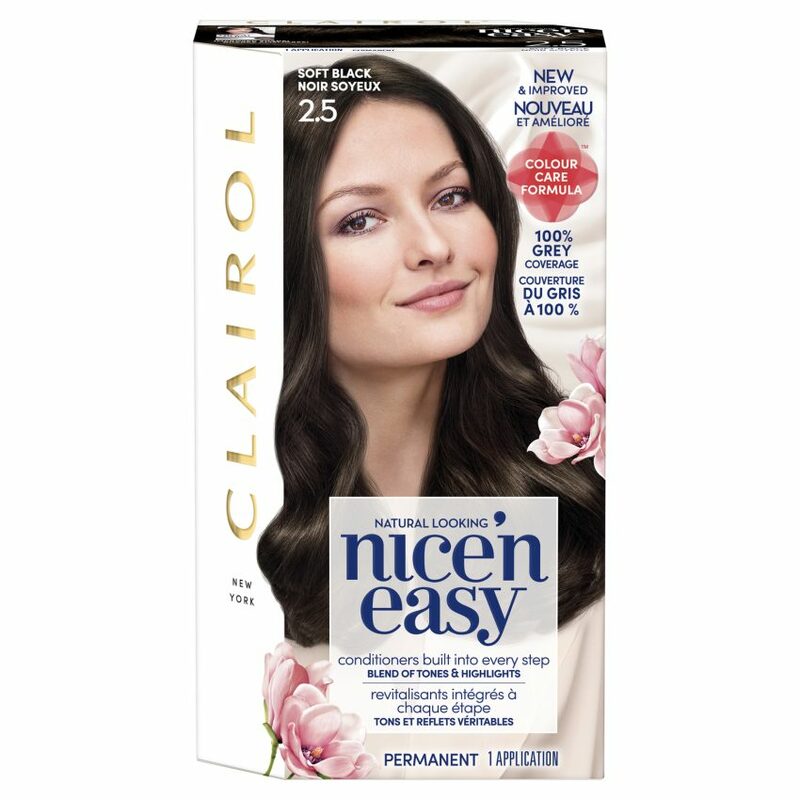 She can’t always find the time to go, so to hide greys in between appointments, she loves using Clairol Nice ‘n Easy. I introduced her to it when I initially made the switch back to my natural hair colour. Along with my mom’s beauty philosophy, comes a whole bunch of beauty rules. Her number one rule? Never skip eye cream. Because of this, eye cream has become my biggest skincare obsession. 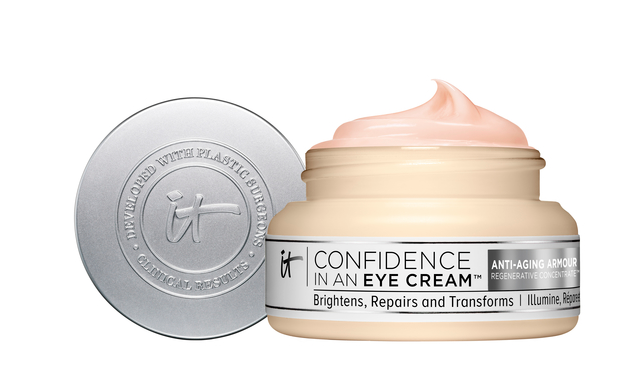 We’re both currently loving It Cosmetics Confidence in an Eye Cream. Believe me, the name doesn’t lie. Every time I receive a package of products from a PR person, my mom always asks, “Is that Olay?” She’s been obsessed with Olay’s Total Effects Moisturizer for years and stocks up every time it’s on sale. 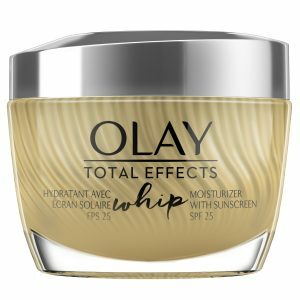 But when I introduced her Olay Whips Total Effects, she’s never looked back. She says she gets the same results but with a more weightless feel on her skin. I love it too! 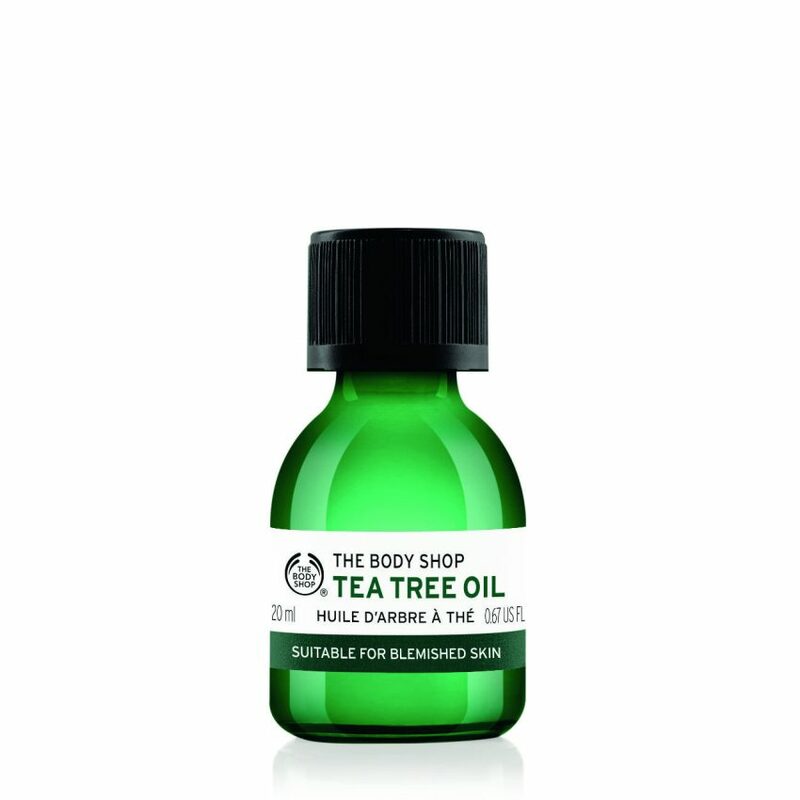 I think it’s perfect for oily skin types. Since my mom loves colouring her hair, she’s handsy over colour-treated haircare products catered from my product shelves. She’s not that picky when it comes to hair products, but she’s currently loving the hydrating properties of Phytomillesime hair mist! 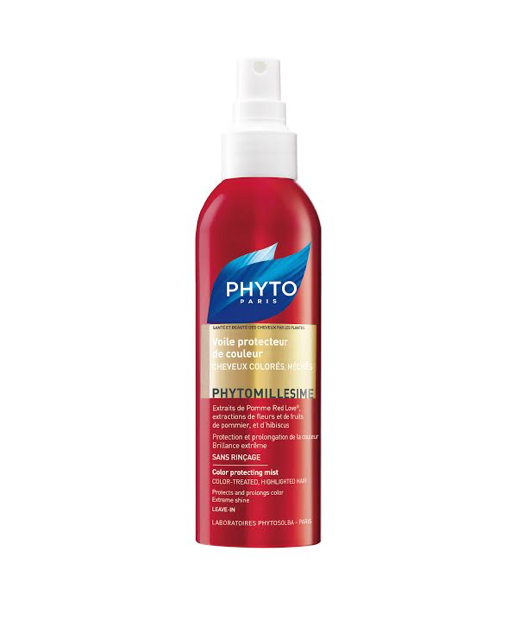 Not only is it colour-protecting, but it also detangles and helps control frizziness. My mom and I had been sharing the same Conair hair dryer for 11 years before she broke it. Our replacement: the T3 Cura Luxe. 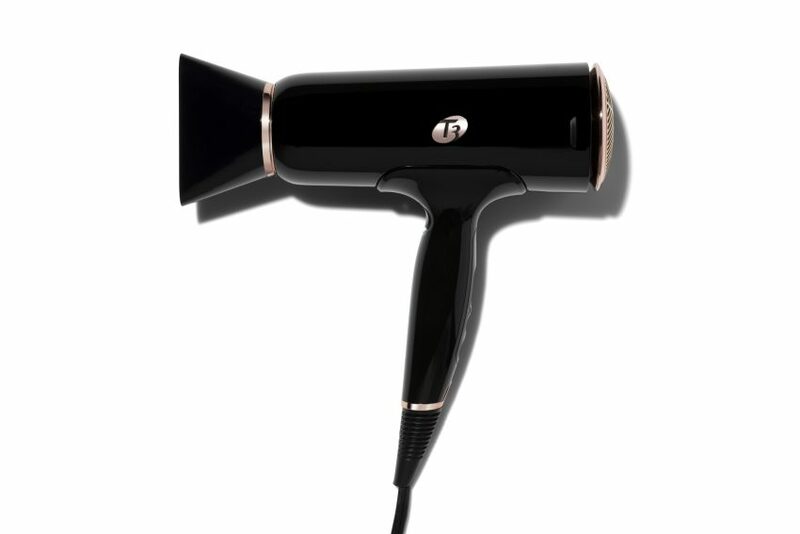 We both love this dryer because unlike our previous one, it dries hair quickly without frizz. I use it for smooth blowouts, while my mom uses it with the diffuser head to shape her loose coils. I’m currently obsessed with cream blushes. This blush (or blush-on, as my mom likes to call it), melts and blends perfectly into the skin. 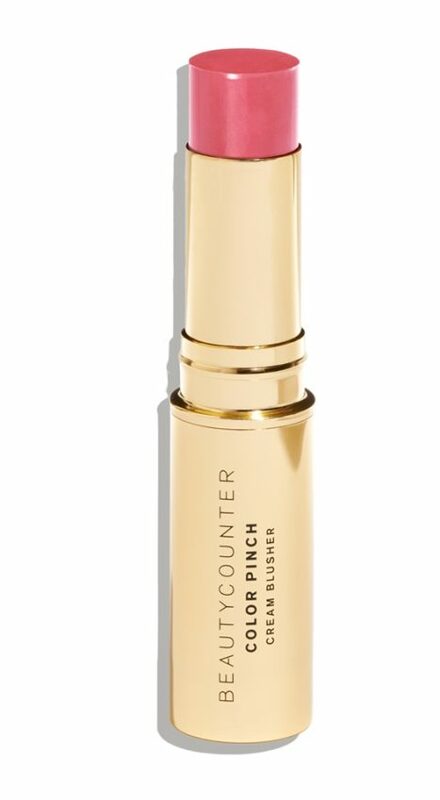 My mom loves it when I wear this Beautycounter Color Pinch Cream Blush because she says it looks just like skin.